Creating a bog garden is the perfect use for a redundant or leaky pond, but it can also be an informal edge to an existing pond or a way of cultivating a naturally waterlogged dip in your garden. Bog gardens provide a range of attractive planting opportunities and are an excellent wildlife habitat. Small areas are generally easier to create and maintain as a bog garden. Larger areas need to have stepping stones or walkways incorporated into the design to allow access for maintenance. Creating a bog garden is an ideal method for converting an existing garden pond, or adding a bog area to the edge of a new pond, as the same pond liner can be used underneath the bog garden to create waterlogged conditions. Holes are pierced into the liner and a layer of gravel placed in the bottom to allow for some drainage, so that conditions are waterlogged without pooling. A bog garden can be constructed any time, but winter is quite a good season for ‘extra’ projects such as this, as there is generally less other work competing for attention in the garden, and you will be ready to plant up your new bog garden in the spring. Bog gardens can be made around the edge of a pond, or used as a feature in their own right. Once the soil has settled back to its natural level, the bog garden is ready for planting. 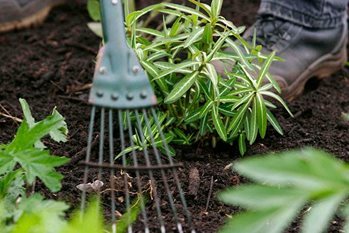 If you have an area of your garden that is naturally waterlogged all year round, you may not need a liner to create a bog garden. However, be aware that bog garden plants do need some drainage and air around their roots. They will not thrive where the soil is so wet or compacted that water pools on it and little drainage occurs. Where plants are too waterlogged, they may suffer from Phytophthora root rots and other fungal diseases.